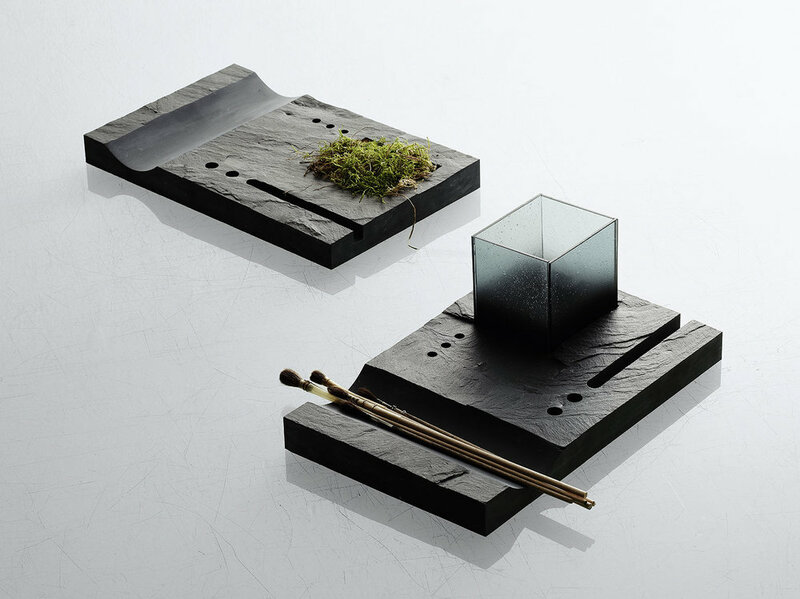 A block of slate is a landscape in miniature, formed by universal forces and altered by the elements. Each piece carries the story of its passage through time – as does each of us. The natural surface is punctuated by lines, channels and holes, cut and polished; man made interruptions that bring both formal structure and function. The slate becomes an object for storing pens and paper, ink and scissors, the tools that enable each of us to write the stories of our own lives, each day, each moment a new draft – a clean slate.